I need advice, I’m installing Fiber Cement Siding with no primer. What primer should I use for painting fiber cement siding, and after that what paint is the best? Should I use Satin? Is BullsEye 123 a good primer? Zinsser BullsEye products are excellent for stain blocking applications but their primer products are not my first choice. Primer which usually goes on thinner than a top coat will likely need two top coats for adequate coverage on un-primed fiber cement siding. Instead Consider using Duration by Sherwin Williams or Duramax by Valspar Both are considered self priming and are thick enough to provide excellent coverage on fiber cement siding with just two coats. I prefer Duramax because it is about $20.00 per gallon cheaper than Duration with no appreciable difference in quality, although I’m sure Sherwin Williams would disagree. Satin exterior wall paint has a more vibrant appearance and additionally it seems more impervious to dirt and stains than flat. 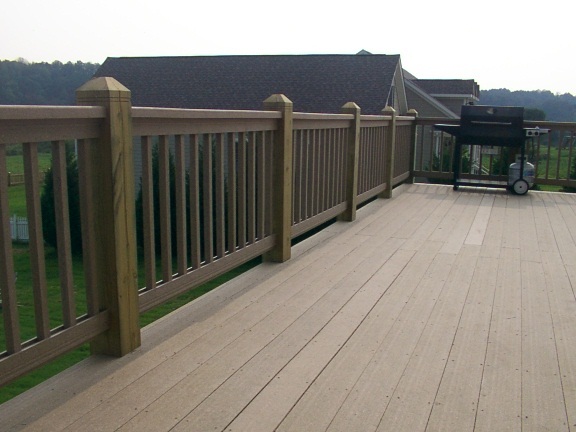 Best coverage is achieved using a 3-1/2″ or 4″ brush but be sure to work horizontally painting a few boards at a time. Paint from one end point, such as a corner board, to another end point always keeping a wet edge. This fast drying and thick paint will show overlap marks prominently if the edge is allowed to dry and then painted over. This entry was posted in Exterior Maintenance, Painting, Questions and Answers, Siding and tagged cement fiber siding, cement siding, fiber cement siding, painting, siding. Bookmark the permalink.